Editors Note: There is a photo associated with the press release. Sunwing is making planning a vacation easier than ever with their recommended "Top Hotel Pick of the Week". To simplify the decision making process, Sunwing will launch this new program to feature hand-picked hotels on a weekly basis. The featured hotel will be introduced on Sunwing.ca on Monday mornings at 10:00 am (EST) and will outline the 3 top reasons that make it an ideal choice, helping travellers determine if it's the right choice for their vacation. The "Top Hotel Pick of the Week" program begins on Monday, November 5, 2012 at 10:00 am. The first hotel chosen for this week is the Aventura Cove, a Sunwing "Smile" resort, which is part of the Family Collection. Located in Riviera Maya, Mexico, the 5 star, all inclusive Aventura Cove is an ideal choice for families seeking a resort that offers fun for all ages. This intimate hideaway is nestled on a secluded cove along Mexico's spectacular Riviera Maya, which offers calm turquoise waters that create ideal conditions for snorkelling, kayaking, and swimming. 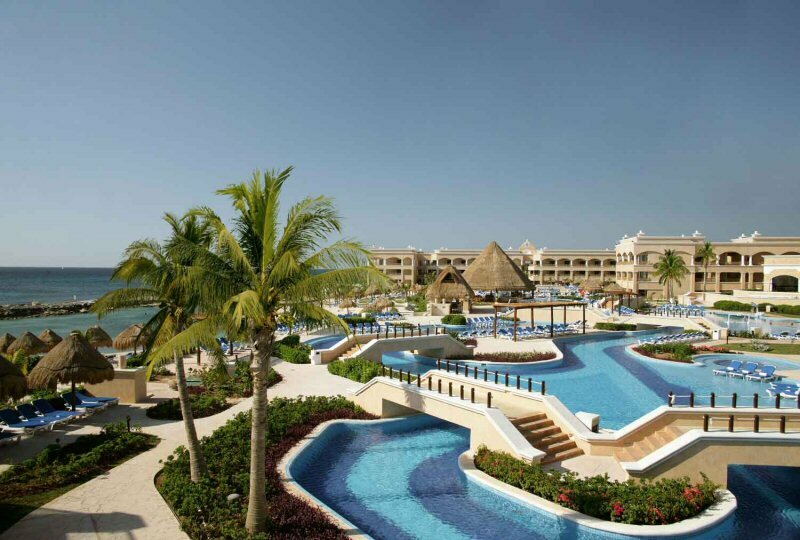 The resort offers a wealth of fun activities and sports for all ages, including dazzling pools with scuba diving demonstrations, a dive tank, tennis, table games, and organized daily group activities. Children will have the time of their lives with supervised games and activities at the sophisticated and modern Little Big Club, which features an interactive play area for children with themed activities, starring beloved characters, Thomas & Friends, Barney, Bob the Builder, and Angelina Ballerina; a mini-theatre for movie nights, dances, and talent shows; a Thomas the Tank Engine® attraction; and an outdoor play area with a splash park and fountains. The resort also offers guests a $1,500 resort credit granted per room, per week, which guests can use towards vacation enhancing features, such as a room upgrade to a Family Deluxe Suite, golf packages, and spa treatments. All Sunwing vacation packages include "Sunwing Airlines' Champagne Service", which includes hot towel service, a choice of hot meals at lunch and dinner served with choice of wine, and complimentary in-flight entertainment, including first run movies. For just $40 more per flight segment, travellers can upgrade to Sunwing's Elite Plus service, which features advance seat selection, separate check-in at a majority of airports, advance boarding, 30 kg baggage allowance, and extra legroom seats. To view the photo associated with this press release, please visit the following link: http://media3.marketwire.com/docs/Aventura_Cove.jpg.